Philadelphia Baseball Mailbag: Could the Phillies go after Giancarlo Stanton? Throughout the offseason and leading into the Winter Meetings in Las Vegas I'll provide a weekly mailbox and answer questions that I receive via email relating to the Phillies and the baseball scene in Philadelphia. I saw a report out of Boston that made mention of the Phillies making a run at Giancarlo Stanton via a trade with the Yankees. How can a deal like this get done? Pedro N.
Ah, the joy of the hot stove season where anything imaginable has the potential to become a reality. 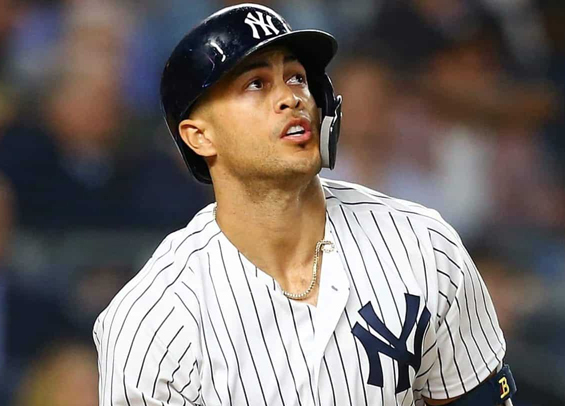 Fact is, the Yankees odds of moving Stanton this offseason are minimal. The return would need to be massive, plus his contract is a behemoth that few clubs could work around. If the odds of him leaving New York are minimal, the odds of him landing in Philadelphia are minuscule. This is the kind of rumor baseball loves because it keeps the big names in the papers and ignites sports talk radio (though just not here in Philly). Straight answer, no, I don't envision the Phillies and Yankees working out a deal on Stanton. Is Matt Klentak on the hot seat yet? Adam K.
If it's not hot, it's certainly warming up. I don't think he's done anything egregious or made a move that's hurt the organization, but the verdict on manager Gabe Kapler is still out and he's on the hook for some major decisions this offseason. If these don't pan out and if the club stumbles through the first two months or so next season, you have to wonder what ownership will do. I don't think there's any immediate danger for Klentak, but his body of work is still in question. Does Scott Rolen belong on the Wall of Fame at Citizens Bank Park? Greg M.
Interesting question, Greg. In my mind, he belongs on the wall in Ashburn Alley, plus he should be getting more consideration for Cooperstown by the BBWAA. He hit .282 with 150 home runs and 559 RBIs while posting a WAR of 29.4 over parts of seven seasons. He butted heads with manager Larry Bowa and turned off some of the fan-base when it came time to ink a long-term contract, scoffing at a 10-year deal worth $140 million. Rolen went on to leave Philly and played well in St. Louis, winning a World Series in 2006. He finished his career as a seven-time All-Star and won eight Gold Gloves. He's deserving of more respect than has been given, that's for sure. The issue I see here in Philly, however, is the ballot moving forward for the Wall of Fame is going to be full of candidates from the 2007-2011 run that put the city back on the baseball map. Rolen put up better numbers than almost anybody from that bunch, but the sentimental feel - in my mind - is where fans draw the line. Eventually, yes, the Phillies should do something to honor Rolen. He's deserving, for sure.